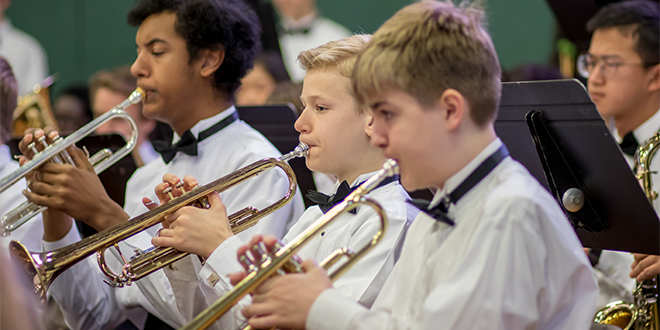 In an increasingly technologically driven world, some question the value of including arts instruction as part of twenty-first century educational models. The recent emergence of dedicated STEM (Science, Technology, Engineering, Mathematics) high schools is one example of this paradigm shift. Likewise, increased usage of technology in the classroom is often also cited as a necessity in preparing students for success. While technology, when used in conjunction with strong pedagogy, enhances and augments a student’s educational experience providing such paybacks as increased collaboration, improved and expanded writing skills, and better research analysis skills, it is important to remember the benefits of a truly comprehensive liberal arts education – one in which instruction in the arts is valued and promoted. At DC, education in the arts remains a primary focus for all students. The arts are studied because they promote skills important in both academic and life success. These key skills include: creativity, confidence, problem solving, perseverance, and focus, the ability to receive constructive feedback, collaboration, dedication and accountability. Looking simply at the notes, students must correctly interpret and execute what notes should be produced. Looking at the notes and rhythm, students must correctly determine when to produce those notes. Having determined these things, students must then correctly connect this knowledge with the physical actions necessary to correctly produce those proper notes at the proper time. Students must then determine where their part fits within the context of the whole and make whatever adjustment is necessary to place their part in context. Lastly, and most importantly, looking at the expressive instructions in the music and using the laws of musical expression that transcend any written instruction, students must determine and produce whatever is called for so that the listener may experience the emotional content of the music. This is impossible to do without the emotional involvement of the students. 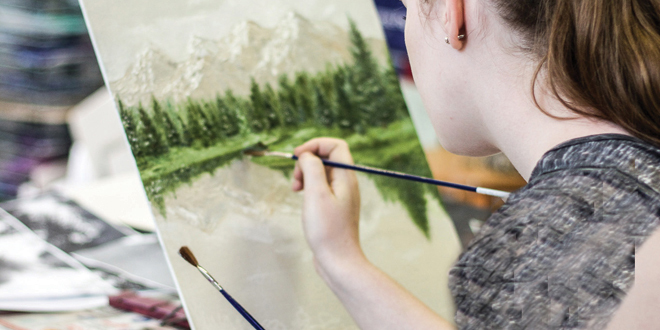 While the study of the arts offers students the opportunity to develop an array of valuable skills through mediums steeped in creativity, the pursuit of the arts within the context of the Christian worldview is augmented to an overall experience that is comprehensive, holistic, and complete. One only needs to read Genesis 1:1 (In the beginning, God created....) to confirm that the expressions of any Christian artist, musician or performer are directly linked to the master Creator himself. When orienting first time students to her art classes, DC’s High School Art Teacher Mrs. Linda Unger, brings her students face to face with a poster hanging on her wall featuring a passage from Exodus referring to Bezalel, son of Uri, that states “and I have filled him with the Spirit of God, with wisdom, with understanding, with knowledge and with all kinds of skills – to make artistic designs...” Mrs. Unger states “watching students make the connection that their artistic skills and creative expressions are a gift from God is like watching a light bulb go on.” Her students understand this truth - what they create within the four walls of her classroom is directly linked to the indwelling of the Spirit in their lives. The certainty of this knowledge brings relevance and a purpose to their work that transcends art instruction in a secular setting. In its sixty-five year history, Delaware County Christian School has consistently valued and sought to promote arts instruction. 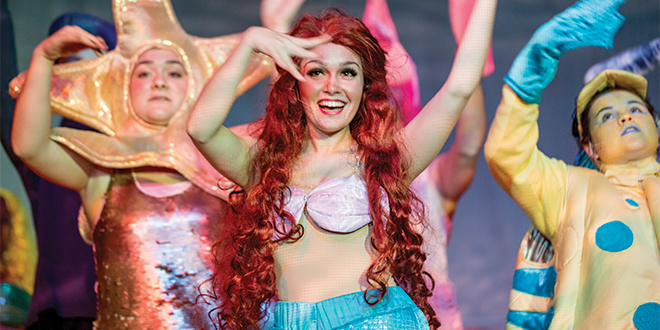 Excellence in this area is pursued knowing that all that is performed or created is “for an audience of One”.Andrew Smalley, DC theatre teacher from 2001 to 2016, sums up DC’s arts program in this way: “What DC has in the arts is extremely special. The arts outside of a Christian context contain a measure of futility. DC is a school that celebrates and excels in these disciplines and garners a name that exalts our Lord and Savior. A creative God continues to rain down an array of talent that is redirected daily to reflect Him. As interest in the arts grows, we see more and more students coming to DC to learn how to give back their creative gifts to their Creator.” For DC students pursuing the arts, instruction built on this foundation prepares them to use their creative abilities to impact the world through biblical thought and action.